A Palmdale parolee charged with robbing a Newhall bank last week has been linked to bank holdups in Simi Valley and Camarillo, authorities announced Friday. Demarie Rashad Mackey,23, was arrested on May 25, minutes after an armed robbery at a Bank of America in the 24000 block of Valley Street in Newhall, according to a Los Angeles County Sheriff’s Department Press Release. A lone, armed suspect entered the Bank of America with a stocking over his head and jumped over the counter, held two tellers at gun point and demanded cash, the press release states. Santa Clarita Station Deputies located the suspect’s red Toyota Camry traveling northbound on Highway 14 at Sand Canyon Road. Mackey was detained at gun point and ultimately arrested for the bank robbery. Simi Valley Police investigators have also identified Mackey as the man responsible for a Simi Valley bank robbery on May 15. 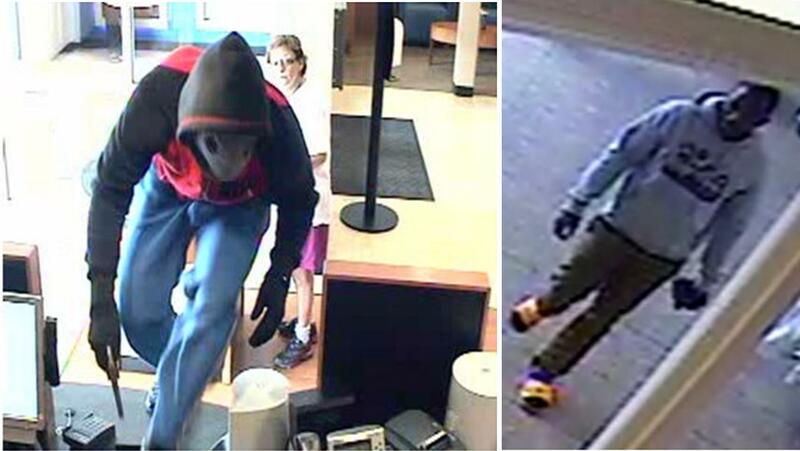 Around 10 a.m. on May 15, the Chase Bank at 5105 Los Angeles Avenue was robbed at gun point, according to a press release from the Simi Valley Police Department. Nearby schools were placed on ‘lock down’ as Simi Valley Police along with their SWAT Team, K-9, and the Ventura County Sheriff’s Department helicopter conducted an extensive search for the bank robber. A suspect was not located that day, but Simi Valley Police continued with the investigation. On May 26, the Simi Valley Police Department received information that a suspect was apprehended in the Newhall bank robbery, and they determined that the suspect’s description was similar to the one from the Simi Valley Chase bank robbery, officials said. During the investigation, LASD Detectives linked Mackey to the Simi Valley Chase Bank robbery and another bank robbery in the city of Camarillo. The Simi Valley and Camarillo bank robbery investigations involving Mackey are being forwarded to the Ventura County District Attorney’s Office for filing consideration for two counts of bank robbery. Mackey was on active state parole during the robberies and he resides in the Palmdale area, according to the Simi Valley Police Department. Mackey pleaded not guilty on May 29 to charges connected to the Newhall bank robbery. He is currently being held without bail regarding a warrant for a parole violation. 8 comments for "Palmdale man linked to 3 armed bank robberies"
THESES GUYS DON’T GET!! THEY ON PAROLE AN STILL COMMIT CRIMES!!! ILL TELL YU WHY,,, THEY DO IT CUSS THEY MISS THERE BOYFRIENDS IN JAIL SO THEY WANT TO GET CAUGHT SO THEY CAN BE WITH TGEM IN JAIL! Cuz they’re so dumb, couldn’t get out of their own way. Prime example of ‘Don’t be the Example’. So, go to school, get an education and stop trying to make it the easy way. It ain’t so easy. Dumb and dumber, criminal mentality=losers, non-productive members of society. Why are they allowed to continue repeating the crimes over and over? Put em out of our misery already. What about the “too big to fail” banks that robbed the US taxpayers dry? How come they don’t go to prison like petty thieves do? All I know is this whole world is under control by stan and demon and it good in all racist,not just white we all got to pray and fight for what right and help those that are lost . ‘Stan’ is a bad dude. OK, robbed three banks, now what?? Will get 30 years for it, will get out at 50 y.o., life is done.. Too many i.d.i.o.t.s in this world.